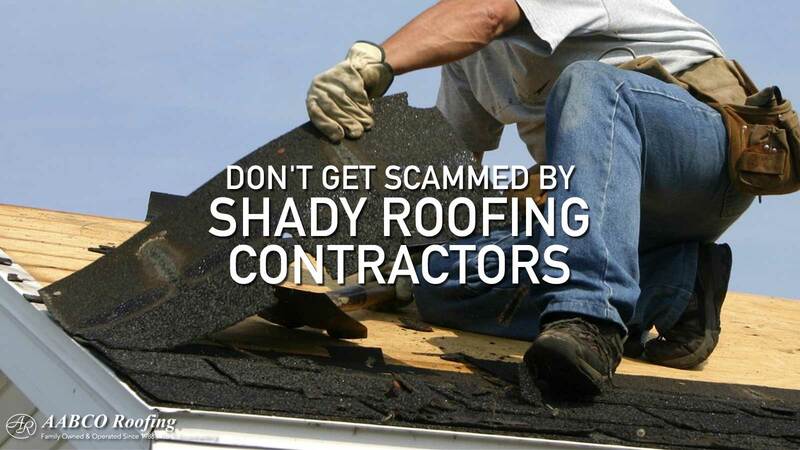 Most people are aware that shady characters are out their scamming unsuspecting homeowners out of money for projects like driveway paving, but many don’t think of roofing scams. There are a variety of roofing schemes, from insurance specialists to people impersonating legitimate businesses. Let’s look at the elements of roofing scams so that you can be aware of the different types out there and avoid hiring shady roofing contractors. Florida certainly has plenty of storms every year which gives roofing scammers plenty of opportunities. They can approach multiple ways. Usually, they show up quickly to do inferior work or defraud you and before you realize their work is subpar, they’re already at the next town. Some pose as insurance specialists who resolve claims for insurance companies. Others show up and offer to do a roof inspection for free right on the spot. In these incidents, these inspectors have pointed out damage that was made worse or completely fabricated. For instance, The National Oceanic and Atmospheric Administration advised that there was no increased frequency of hail storms. Still, hail damage claims have increased exponentially. Sometimes they show you pictures of a damaged roof that isn’t even yours. These scam artists have gone so far as to rip shingles off roofs to illustrate storm damage or use hammers to mimic hail damage. Other examples of roofing fraud after storms involve a pushy salesman showing up and offering a free new roof. Sometimes they want you to sign a contract immediately. Seniors aren’t the only people that fall victim to this type of fraud because these salesmen know just what to say to coax you into saying yes. An offering of a free roof is never a good thing and likely insurance fraud. Also, beware of fraudulent contractors who approach you with offers to build a new roof and pay for the deductible. This too is insurance fraud. Remember that professional roofing contractors won’t use high-pressure tactics just to get a sale. Sometimes the fake contractors tell the owners to pay an exorbitant price saying that they will refund the deductible after they overbill the insurance company. You guessed it, more insurance fraud. Often roofing scams include bills for high-grade materials, but the work is actually done with cheap products to reduce costs for the roofing company, so they make more profit. Its suggested that you get a written contract that describes the exact materials that will be used in the project so that you can ensure you receive the products that you paid for. Keep these factors in mind when attempting to ascertain if a roofing service is legitimate. Do they want you to make a decision quickly? Another clue is when they ask for a large payment up front or don’t want anything in writing. Worse yet, these incidents bring with them the threat of higher insurance premiums for everyone. So, be wary when people show up at your residence to provide roofing services and don’t be afraid to ask questions.